The smartwatch market may have a rough start but it poses a very lucrative market in the future. 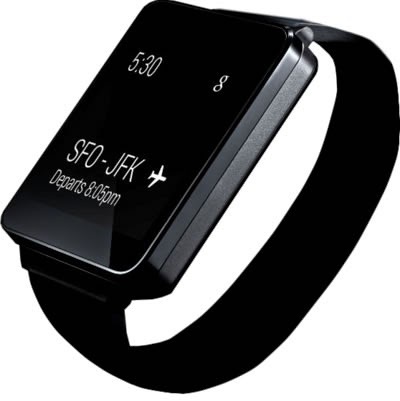 Now, it did not stop giant names like Samsung, Motorola and LG to have their on take on the this wearable device. With the advent of the Android Wear and the Motorola Moto 360, long-time Nexus maker LG followed suit with the G Watch. The complete specs of this Korean watch recently hit the net and it certainly packs some serious muscle. Now, LG defines what a smartwatch ought to be with its Timepiece “LG G Watch”. The wrist-device pioneers Android Wear OS that will be compatible with all devices powered by Android KitKat. It’s sleek and lightweight design gives all day comfort. According to sources, the G Watch will feature a 1.65-inch TFT LCD display with 280x280 resolution, not OLED. Its metal body punctuates a sleek look. In its core, a 400 mAh will sustain the device for a 36-hour standby time. It will hit full bars in less than 2 hours of charging. It also features voice-activated search function and Its water and dust resistant feature is a perfect fit for your outdoor activities. LG G Watch is expected to take the stage on the coming Google I/O event with a USD 285 pricetag.